This GABBAfest promises to be a very special event with a lot of exciting things happening. 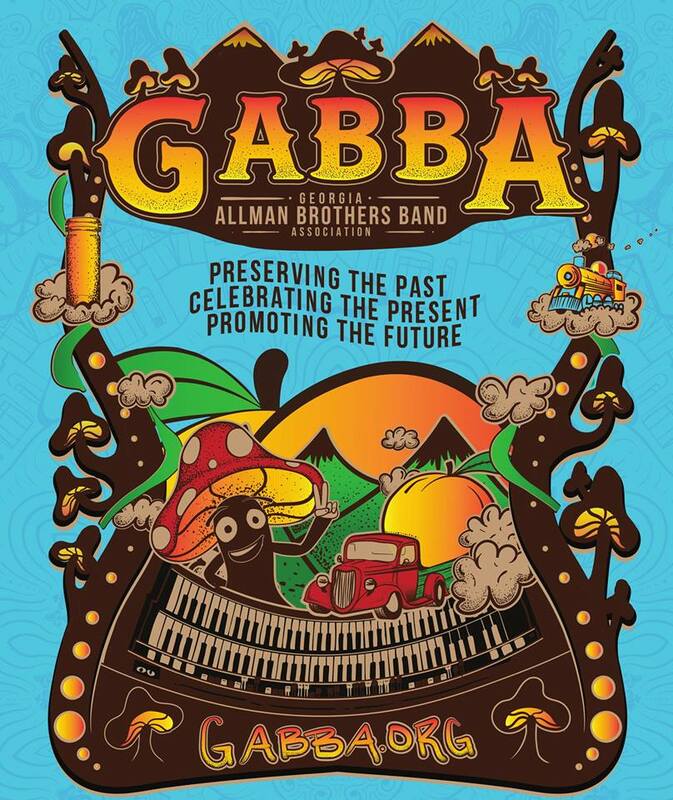 You may remember back at the 4th GABBAfest our theme was “The Road Goes on Forever for Generations.” GABBAfest 2001 will also have a theme regarding a road, a road made famous in one of the Allman Brothers Band’s top hits, Rambling Man. A road that goes through Macon right past the Big House and on to Atlanta and points north and southward. This road is Georgia Highway 41 and a part of this road will be renamed in honor of Duane Allman. The dedication ceremony of Duane Allman Boulevard will take place during GABBAfest. Thanks to the efforts of Georgia State Senator Robert Brown and our own GABBA Board member Surelle Pinkston this dedication will happen and GABBAfest participants will be able to attend. Our thanks go out to Senator Brown for bringing this to reality and allowing it to occur during our gathering. So to honor this special occasion, the theme for GABBAfest 2001 will be centered around the dedication of Duane Allman Boulevard. There will also be other happenings at GABBAfest 2001 that should not be missed. We will begin on Friday night at the famous Douglass Theater with registration, welcome dinner, auction, GABBY award presentation and a night of great music. The dedication of Duane Allman Boulevard is planned for Saturday at noon. Also on Saturday we will hold our collector’s revival at the Phoenix Sound Studios (the old Capricorn Studios) which will be open for tours. Don’t forget to drop by the H & H restaurant and say hello to Mama Louise and enjoy her delicious vittles. Also, before you leave Macon, be sure to stop by the Georgia Music Hall of Fame and check out the ABB display. The Georgia Music Hall of Fame is offering a $2 discount on admission to GABBAfest people! Just present your GABBAfest laminate at the door for your discount. Left Foot Down will be the headliner act on Friday March 23rd at the Douglass Theatre. This Knoxville, Tennessee band consists of 7 highly talented musicians who have become very popular around the Southeast. They are known for their energy driven shows, sweet double lead guitars and driving rhythm. J. C. Haun, a long time ABB fan and GABBA member is in the band and they play some great ABB tunes. They also play many original songs that showcases their talent and keeps their fans wanting more. Check out Kirk West’s review of their latest CD in Hittin’ the Note Issue # 27 (the one with Derek on the cover). Please don’t miss this up and coming band, you’ll be able to say you saw them when…at GABBAFest 2001. Tony Tyler Trance – this local Father/Son band features a young musician, vocalist that will one day be a star….true charisma, hard working and talented to boot! Eager and energetic, this band will get things rocking for GABBAFest 2001. Breau Jam – this band made up of various talented local musicians who have played with many people, most recently Tim Brooks, will provide GABBAFest with a memorable show that will truly get our ABB jives going. SkyDog – this band of Atlanta musicians has played at the Buckhead ABB Revival for the past several years (many people in Buckhead thought the ABB were playing a surprise concert). They are truly amazing and will play all our ABB favorites. Members Jam featuring musicians from the bands playing GABBAFest and all GABBA members who wish to jam. Play in the Studio where the Allman Brothers played. If you would like to be put in the line up please contact Greg Henderson atHendoandson@aol.com. Maude’s Cabin – this up and coming Southern Rock band will start things off with a bang. Similar to Lynyrd Skynyrd but with a style all their own this band will get the Street Party going wild! Left Foot Down – J. C. and the guys from Knoxville are true ABB fans. They also like the Grateful Dead and when the two styles come together it’s pure magic. Left Foot Down has been making a name for themselves all around the Southeast. If you haven’t seen them yet don’t miss them here in Macon. They will play some ABB and Dead and their own original songs which are awesome. They will also be playing later that night at the Music City Grill and I know you’ll want to go and hear more. Pure Prarie League – this country/rock band of the 80’s is back on the road again playing all their hit songs for everyone’s listening enjoyment. Left Foot Down – more ABB covers and original music sure to get the blood stirring and the soul soaring. PLAY ALL NIGHT!!! or at least til the cops close the place down! All these musical events are free with your GABBAFest 2001 Laminate, so if you haven’t signed up for GABBAFest yet do so now and come on down (or up) to Macon for a wonderful weekend of ABB family, friends and music. A great time will be had by all.